Despite the increasing academic interest in populism, we still lack understanding of individual factors contributing to populist voting. One of the main reasons for this is that populism is almost always attached to other ideologies which makes it difficult to isolate factors. 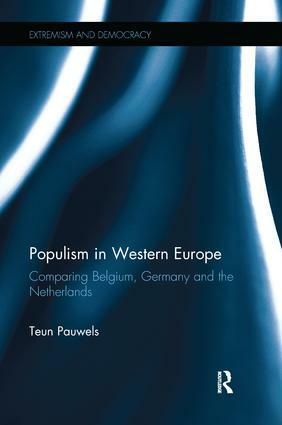 This book draws on an innovative research design by comparing the reasons to vote for six populist parties which differ remarkably in terms of their host ideology in Belgium, The Netherlands, and Germany. The results show that populist voters are motivated by their dissatisfaction with the functioning of democracy and a desire for more direct democracy. Furthermore it appears that populist parties do not mobilize among one specific social group although deprived groups are generally more susceptible to populist voting. Finally, this study explored why some populist parties persist while others decline. Origins of party formation and how leaders organize their party internally seem the most important factors determining party persistence. This book will be of great interest to students and scholars of populism, European politics and contemporary political theory.